Interesting columns, roof pieces and stairs take your structure back to the Greek and Roman Empires. 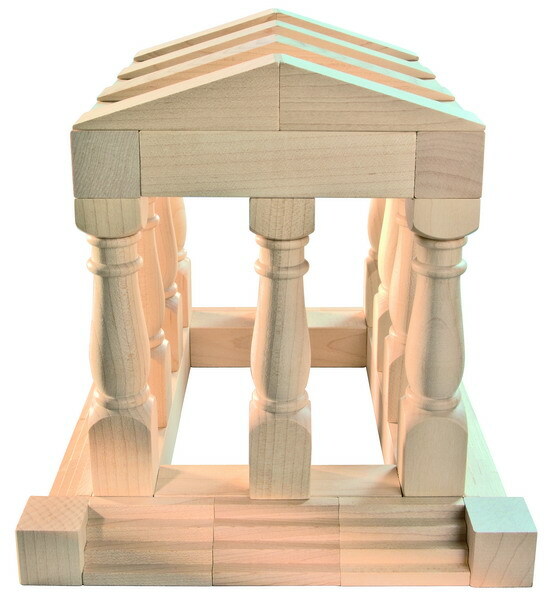 The blocks are made in Germany from the highest quality maple hardwood and will stand up to the test of time, as well as the test of a three year old. 42 pieces in 11 shapes.